We are gathered here today, dearly beloved brethren, on this the first Monday after the 12 days of Christmas. The work of the prophet is not confined to Sundays. We will preach of Paul Pogba, Manchester United, Jose Mourinho, a punishment of pundits, a parliament of crows, mixed marriage, and a man who ate an ice cream at twilight time. Martin O'Brien from Blarney was there in his wedding day best, on Saturday last, outside the church in Ballydonoghue, here in North Kerry. The bride always gets home venue, and as is the custom I offered Martin my best wishes. The bride, Maire O'Sullivan, went for the '50s classic look and carried it off wonderfully. Maire and Martin are Gardai and have arrested each other in the nicest possible way. Maire comes from a long line of footballing greats. She married a Cork man. So to the new groom, I said, "the very best of luck to you Martin, for the rest of your life, except on Munster final day." But Martin is a soccer man and I know for certain he will never have to put up with the kind of savage and unfair criticism being handed out to Paul Pogba by the Punishment of Pundits. Maire doesn't do giving out. Although, I have heard tell of scolding wives who sometimes admonish husbands, all the time. But these tales of marital disharmony might not be true and may have been circulated by free-range men who have sworn forever allegiance to a state of permanent bachelordom. Punditry is all about giving out. How long do you think a pundit would last if he or she praised the players? No time at all is the answer. Paul Pogba has suffered his share. His manager maintains Pogba's crime is to be too well paid. Maybe Jose is right. People notice things in small towns. This is the season of shiny new cars. Some lad, just out of the booster seat, will be driving by in the new 2018 motor. I know of those among you who will be jealous. You will mutter words like "show off" and "ostentatious". The 3.7 De Luxe has the capability of going from 0-60 in one second flat. The seats are as soft as a sumo's belly, and even Pogba couldn't afford the repayments. And what's more the 3.7 Turbo De Luxe causes no more damage to the ozone layer than the fart of a gnat. And yet many of you would buy the 3.7 if your six numbers came up. Jose Mourinho maintains the former players who are now pundits are suffering from having been born at the wrong time. They missed out on the big money and had to be content with no more than fifty grand a week. Cranky Paul Scholes had a go but Mourinho stuck up for Pogba. He said "we can't all be phenomenal." Like Scholes. Graham Souness is always cribbing about Pogba, who cost about 85 mill. Roy Keane had a cut. Ah but Roy we all know you would fetch a hundred million if you were playing. Don't we all know the prices paid for players are outrageously high? 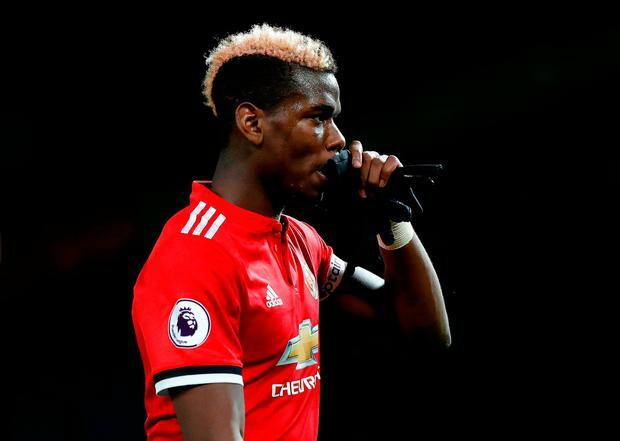 Much of the criticism took place after Pogba came back from injury and suspension. Scholes claimed Pogba wasn't fit. And the reason was that bigger men take longer to find fitness. United fell out of the title race during Pogba's suspension, injury and recuperation. It seems to me that once a player is bought for big money the pundits seem to think he is fair game. But Pogba is only 24 years of age yet he is being savaged by men twice his age. It's not the young lad's fault he is in the money. Pogba is the son of an emigrant. He didn't have it easy and had to leave home to make his way in the world. I believe Paul Pogba to be the finest all-round footballer playing in the game today. Pogba has the bit of size. He is combative and wins nearly all the 50-50s. What's more, the man is creative and resourceful. Pogba is one the few playing the game who can deliver the long pass. He is well capable of emulating Bobby Charlton, who had more successful long-range deliveries than the stork. And he scores goals. Pogba will blossom even more when Mourinho finally gets all 11 picked and paid for by his very self. I was travelling through the Kerry hurling country on Women's Christmas day, at twilight. Thousands of crows gathered together in plenary session on skinny trees, wobbly electricity wires, and bare, spiky hedgerow. The crows know there is safety in numbers and so do the pundits. Crows and pundits are sheep. One in, all in. I hope young Pogba doesn't take too much notice - and yes he is a young lad. Money doesn't make him tough or resistant to harsh criticism. The Punishment of Pundits seem to have forgotten they too were young and vulnerable. How can ye go in so hard on a young lad? How would you like if a bunch of old boys subjected your sons and daughters to such a savage inspection? Just beyond the Dail of crows there was a man eating an ice cream. The night was so cold the electricity spiked at bed-time, what with the boiling of kettles for hot water bottles and mugs of tea. The ice cream eater was dressed in black. Even Johnny Cash wouldn't chance black on a country road at twilight. Make the New Year's pledge to wear the high-viz, which unlike The Premiership helps keep you safe. The Vintners Federation of Ireland sent us all high-viz jackets as part of a road safety campaign. You can ask at your local pub. Keep safe.